You would pick out what size you want and purchase it first. You have a choice between a 16 oz or a 24 oz. cup. You would then stop by our toppings/sinkers bar and pick out your favorite toppings and add it to your cup. You can get as much or as little ice as you want. You can then pick out your favorite drink or mix multiple flavors if you want. Finally, you would bring it to our main counter by our espresso machine to get sealed by a staff member. 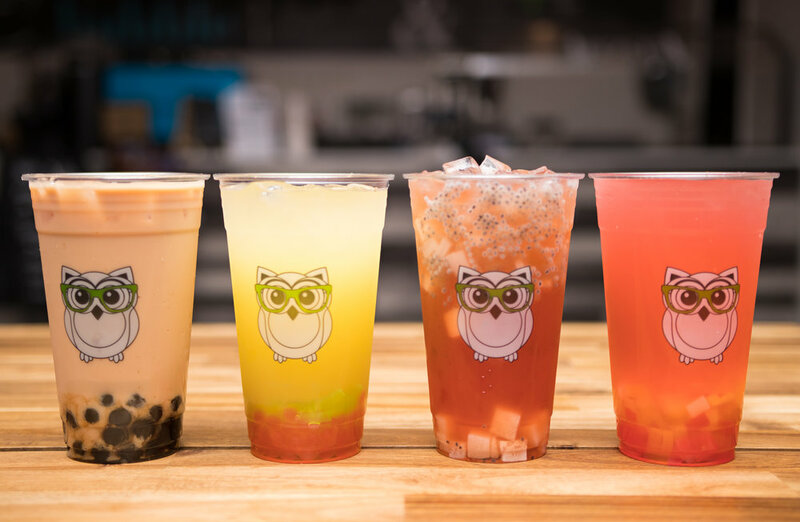 We hope you have a wonderful experience building your own boba!